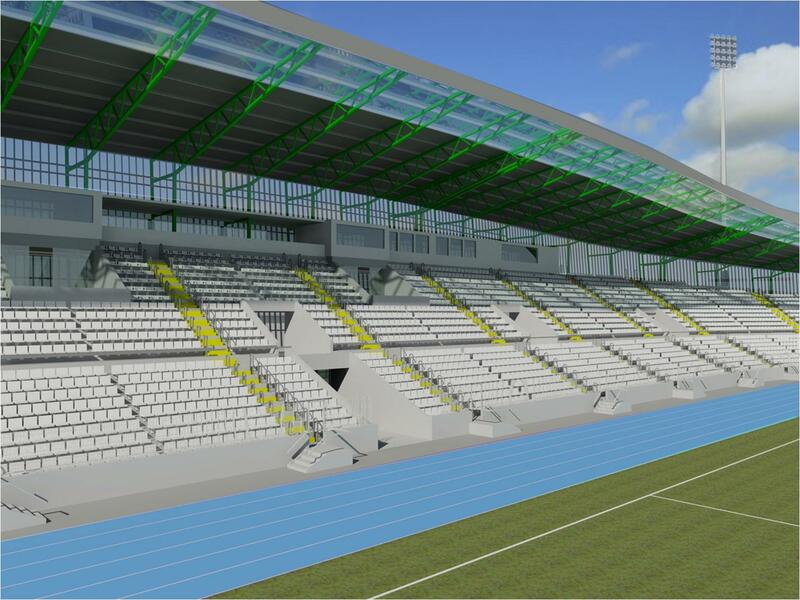 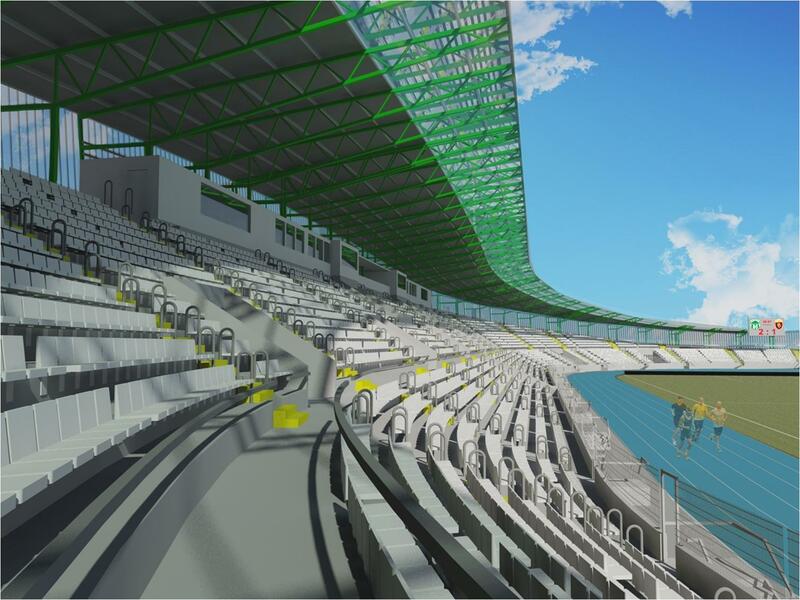 The municipal stadium in Macedonian Bitola will be rebuilt by addition of crescent-shaped stands to the existing south side, which will undergo major renovation. 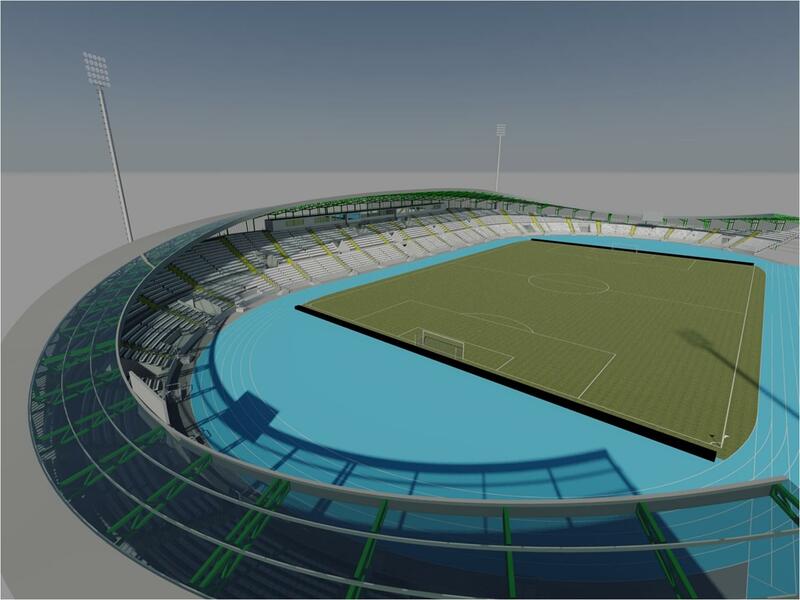 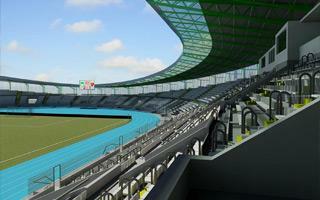 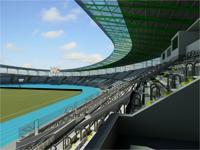 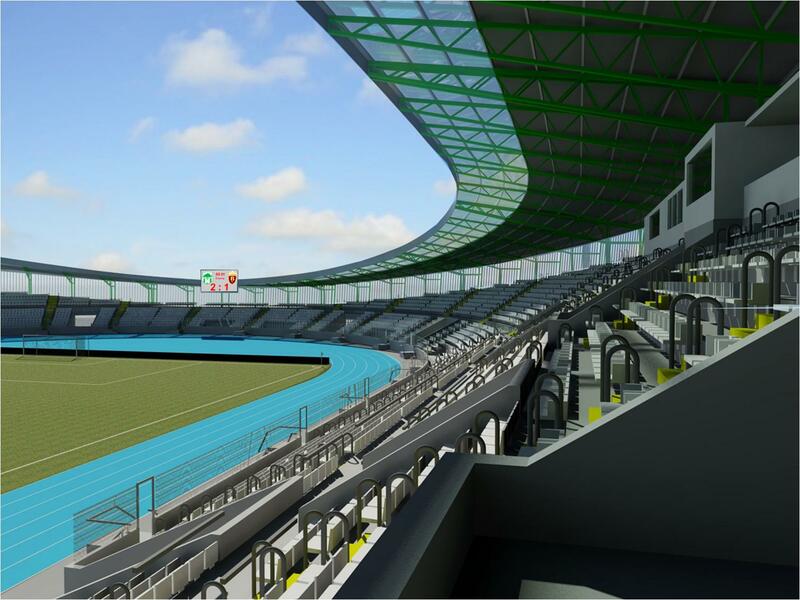 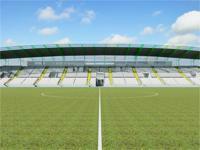 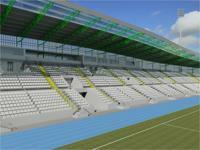 According to initial estimates from 2014 the stadium would hold 12,000 people and cost €8 million. 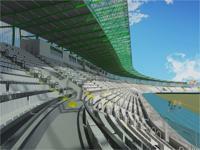 These soon proved too optimistic and had to be downscaled to around 10,000 seats with final cost unclear. 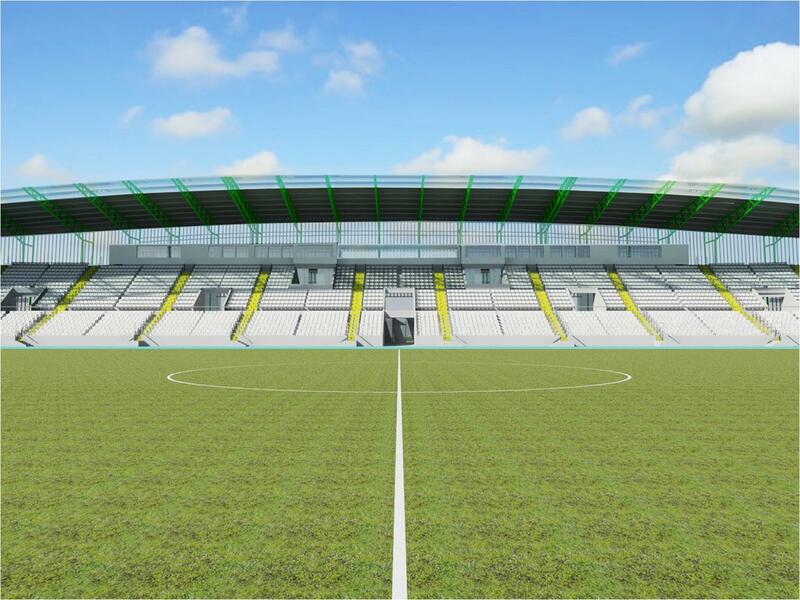 First phase will see the main grandstand built along the north side of the field, accommodating both the media and VIP guests and becoming the largest section of the ground with 4,764 seats. 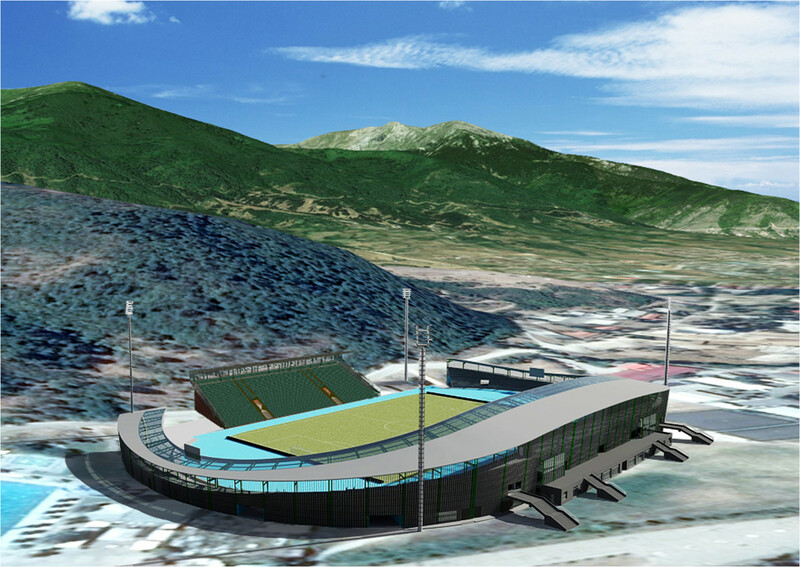 It will also have three floors of facilities behind, providing office space for Pelister and rooms for players and officials. 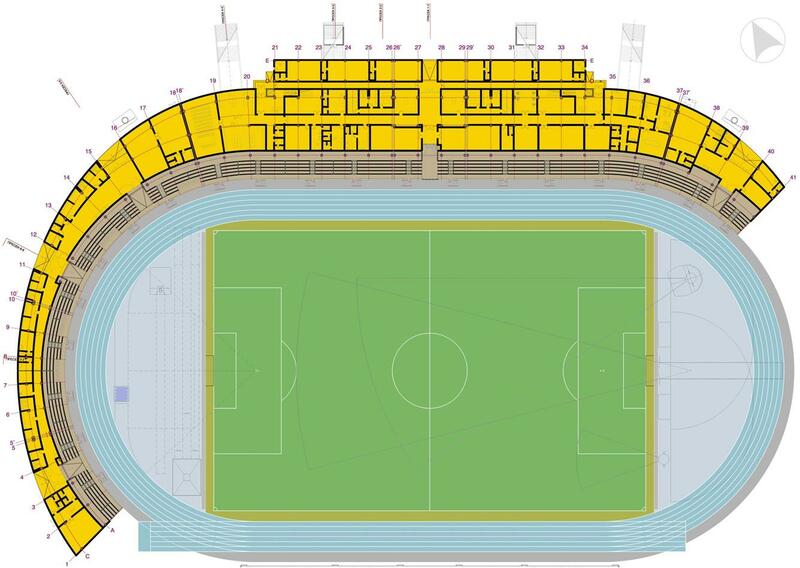 In further phases the south side will be renovated and both ends in the east and west are to receive curved stands for 1,234 people each.